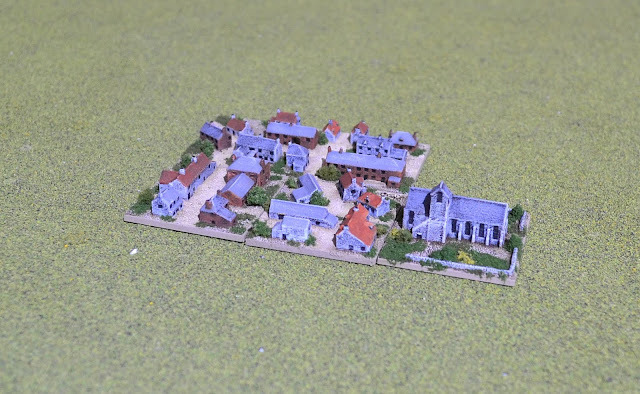 The buildings are by Brigade Models and are larger than Irregular Miniatures although they are more in scale with the figures. I based them on 80mm x 40mm, 40mm x 40mm and 40mm x 20mm mdf bases to provide for a modular style approach. They can be small hamlets up to a small town in size. At some stage in the future I will add more to the collection but this will do for now. 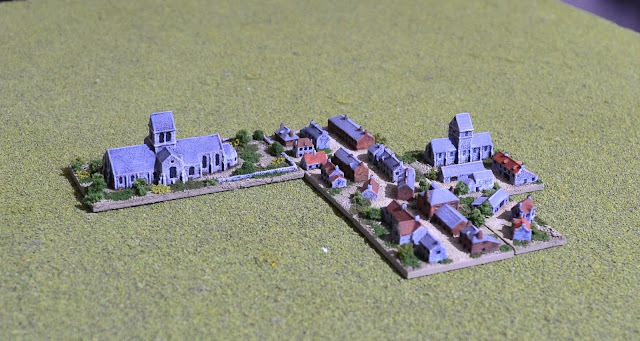 As originally intended, the 2mm project will move to the background with a continual, but slow, production line under way to complete the figures required. My attention now switches back to 6mm with an ECW foot regiment primed up. I will then be taking a close look at my WW2 requirements. 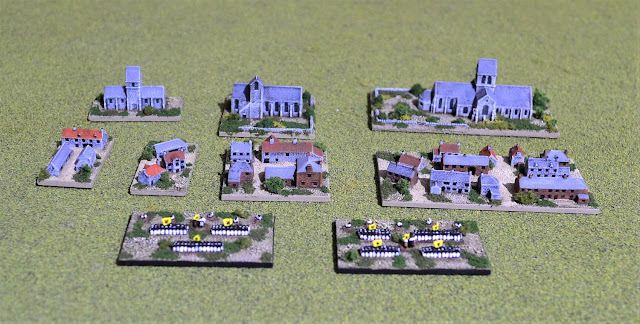 The arrival of Blitzkrieg Commander IV has provided the spur to get another game on the table to try them out. Nice job on the various buildings/settlements! The hamlets look really good Jon.